It appears that Ebay is back to advertising with Google Adwords after a slight spat which triggered an “experiment” by Ebay to pull all of their advertising from Google over a week ago. The issue arose from news that Google was planning a conference at the same time and city of an Ebay conference where Google was promoting Google Checkout, a rival platform to Paypal used by Ebay. As a result Ebay, who is one of the largest advertisers on the Google Adwords pay-per-click, pulled all of their ads from the system in what was called an “experiment” to test their dependency on the search engine giant. 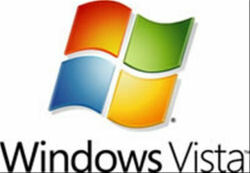 Microsoft has reached an accord with the help of the U.S. Justice Department and state antitrust regulators to address complaints from search engine giant Google regarding desktop search functionality on the new Windows Vista operating system from Microsoft. Google cited that their desktop search application does not work correctly on the Vista OS, and Microsoft is not allowed under a consent decree to take any actions to stop a rival companies desktop software from working as designed on their OS. Today Google announced that its recently acquired video sharing site YouTube will begin serving localized versions of the YouTube home page and search functionality for nine additional countries aside from the U.S. Prior to this update, videos have been shared from users around the world but the entire interface was available only in English. According to the co-founders of YouTube, Chad Hurley and Steve Chen, the main featured pages of the site also showed content that was “heavily skewed” to the preferences of U.S. visitors even though more than half of the actual content posted on the site was from users in non-U.S. countries. Google’s online map application now has an even more advanced imagery than the already cool Google Maps satellite photos, called Street View, and although these new photos are great for seeing places you’ve been, might like to go, or may never go now that you’ve seen them, the images have been raising some concerns over privacy. According to TechCrunch, the rumored deal between Google and Feedburner has been been moved to a “confirmed” status and Feedburner is in the closing stages of being bought out by Google for a hefty $100 million. The agreement consists of mostly a cash-up-front deal retaining the founders of Feedbruner for two years, and is expected to close in the next few weeks. Feedburner, founded in 2003, is a service that distributes media for blogs and different RSS feeds, helping web site owners promote their sites and profit from it’s content. It allows blog owners to manager their own RSS feeds through the service and track the number of subscribers. An announcement was made Wednesday by Marissa Mayer, Google’s vice president of search products, at the Searchology event at the Google campus in Mountain View, CA regarding a change in Google search engine results to something they are calling a “universal search model”. Google, along with other search engines, have recognized that although they have various search engines for things like images, videos, news and patents, most users only use the main search engine and often are even unaware of the other features. Also it can be an inconvenience for users to have to switch between different engines of the same search provider to find relevant results. Friday YouTube and their new parent company Google were hit with another copyright infringement lawsuit, this time from England’s top soccer league and a US music publisher. The Premier League and Bourne Co. issued the lawsuit citing that not only does YouTube have their copyrighted content on the video sharing website, but that they are encouraging people to view the footage on the website and subsequently are “knowingly” misappropriating the two companies intellectual property. By this, according to the lawsuit, the operators of YouTube are exploiting the valuable intellectual video property for their own gain without any payment to the owners of these videos. Two days ago Viacom dropped a $1 billion lawsuit on Google and YouTube stating that the video sharing giant had violated copyright laws by hosting videos created by some of Viacom’s programming brand. In response, attorneys for Google feel that they have strong legal protections under current copyright law, according to Reuters. The legal team feels they have a very strong defense due to the Digital Millennium Copyright Act (DMCA). The chatter on the net amongst the tech community is that Google may be close to announcing its own mobile phone, giving Apple’s iPhone its first major competitor. It began when a poster on the Mobileburn message forums said that they had taken an online survey about possible user interest in a Google phone that featured WiFi capability, 3 Gigs of onboard storage and a built-in 2 megapixel camera. They managed to grab a screenshot of the design which resembles something that may be Samsung inspired. Last month Viacom had asked YouTube to remove over 100k video clips from its website that Viacom stated violated copyrights, and then later that month Viacom made a deal with Joost to provide video content for their website. Today Viacom has issues a lawsuit against YouTube and its parent company Google for copyright infringement claiming 1 billion dollars in damages. Viacom is claiming that YouTube has over 160,000 unauthorized video clips of Viacom’s content on their website which collectively has been viewed more than 1.5 billion times. Viacom is also looking to find a way to ensure that YouTube and Google do not violate any copyright infringement again with Viacom’s content. 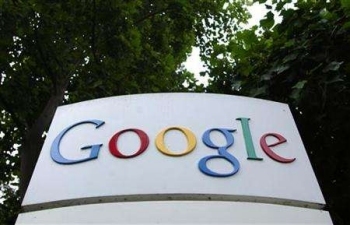 Google has released an enterprise version of its popular hosted productivity and communications suite, Google Apps. 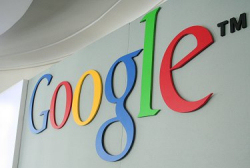 Google Apps Premier Edition will cost businesses $50 per user per year. For $50 a user you get the entire Google Apps package plus access to APIs, conference room scheduling for Calendar, 10GB of storage for email, extended phone support for critical issues, and mobile GMail on your BlackBerry. 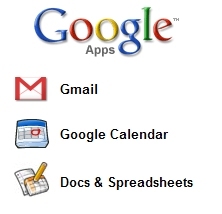 Google Apps includes GMail, Talk, Calendar, Start Page, Docs and Spreadsheets, and Page Creator. Google Apps currently comes in three editions: Standard, Education, and Premier. The Standard and Education editions will remain free. Google has already signed on some larger companies such as Procter & Gamble, General Electric Corporation, and Prudential to use the new service. 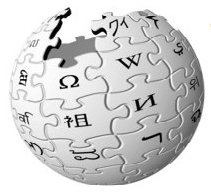 Wikipedia Cracks Top Ten Most Popular Sites in U.S.
January marks the first time Wikipedia has made the top ten list of most popular Web sites in the U.S. In a report from comScore Networks, the online encyclopedia officially came in ninth with 42.9 million unique visitors last month, just behind Ask Network with 49 million and ahead of The New York Times (#10). This is a significant improvement over last January where it languished in 33rd place with 18.3 million unique visitors. Much of Wikipedia’s recent U.S. success may be attributed to some generosity from Google. 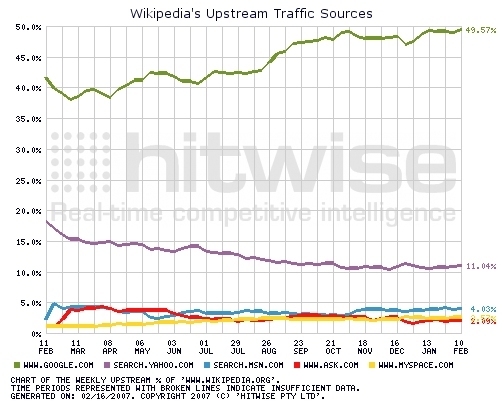 A report from Hitwise indicates that Google traffic to Wikipedia is up 166% Year over Year. The analysis showed that for the week ending Feb 10, 2007, 70% of Wikipedia’s upstream visits came from search engines – 50% from Google alone. Vodafone can add yet another service to its growing family of mobile applications. In a recent announcement from the mobile telecommunications company, Vodafone Live! will now offer Google Maps for mobile in addition to Google Search. 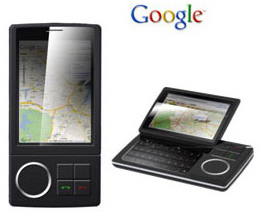 In the agreement, Vodafone and Google will develop a location-based version of Google Maps for mobile. The service is expected to offer customers access to maps, local listings, local search, and navigation capabilities. Google and Vodafone are also developing a service that provides customers on selected handsets with an automatic user-location capability. Other enhancements include changes to Vodafone’s multimedia portal, Vodafone live. These changes will include search technology from Google that enables customers to access both on-portal and off-portal sites in the wider mobile internet. Google is welcoming Princeton University as the latest library partner in its Book Search Library Project. Princeton University will be opening approximately one million public domain works from their library system in an effort to make them available online in a searchable format. The Princeton University library system consists of the Harvey S. Firestone Memorial Library and thirteen special libraries located around the campus. The books being considered for the project are out-of-copyright works and therefore part of the public domain. Once digitized, the books will be fully searchable by researchers and readers alike. With Google Book Search, users can view the texts online, download them, or print them for later reference. The project is expected to be completed over a six year period. Google has announced an improved version of its Google Mini search appliance. The new Mini offers document and user-level security, access to other business applications through Google Onebox for Enterprise, and integration with Google Analytics. The Google Mini is a combined hardware and software solution that can search from 50,000 up to 300,000 documents and 220 different file types. Mini was introduced two years ago as a small, simple and affordable appliance to aid small business in finding and sharing information. The new Google Mini now offers document and user-level security across all business content. Google’s entitlement management capabilities will integrate with existing security systems to ensure that employees can access only authorized information.